We brought the fourth installment of our annual fall workshop series to enthusiastic audiences in Edina, Aitkin, and Marshall. Nearly 200(!) of you Friends turned out in September for Beyond Book Sales: the Future of Friends Fundraising, our best rated workshop to date. We inducted Vermilion Community College, the academic home of Minnesota writer and conservationist Sigurd Olson, as Minnesota’s sixth official Literary Landmark. In addition to numerous monetary awards granted to member Friends groups in 2015, MALF honored one of our early leaders with a contribution to the College of St. Catherine’s new Chris D. Olson Memorial Scholarship Fund. We expanded member benefits, rolling out a new stipend grant to help first-time attendees travel to Washington D.C. for National Library Legislative Day (NLLD). The above is only the tip of the proverbial iceberg. Visit our blog to catch up on what you might have missed in 2015! Interested in, but on the fence about, attending National Library Legislative Day in Washington D.C. next May? We highly recommend the experience! In fact, MALF is extending the deadline on its 2016 scholarship for first-time participants. Any resident of Minnesota is eligible to apply for this one-time $500 stipend, provided they are affiliated with a Friends of the Library group that is a member of MALF (or are themselves an Individual-level member). If 2016 is the year you take the leap, fill out this form and mail with an attached cover letter to: Minnesota Assoc. of Library Friends, 325 Cedar St., Ste. 555, St. Paul, MN, 55101. You may also mail the same to us, at info@mnlibraryfriends.org. Cover letter should address your background as a Friend of the Library, your aspirations as a library supporter, and your reasons for wishing to attend NLLD. Apply by Dec. 21, 2015 (extended: Jan. 6, 2016). About NLLD: Coordinated by the American Library Association, NLLD is an annual, two-day event – and the highest profile library advocacy opportunity in the country. Minnesota attendees will receive an in-depth briefing on library legislation before getting the opportunity to meet in person with members of our own congressional delegation. MALF aims to provide a strong voice for Friends of the Library. We offer assistance to Friends on the local level and, wherever possible, champion libraries at the state level. While such grassroots support remains instrumental for public funding, much of the legislation that affects libraries originates instead at the national level. We need to make sure that our collective voice is heard in Washington, as well as in our own communities. In recognition of this fact, MALF is pleased to offer a one-time scholarship of $500 to a Friend of the Library interested in traveling to Washington, D.C. on May 2-3, 2016, to advocate for libraries as part of National Library Legislative Day (NLLD). Coordinated by the American Library Association, this annual, two-day event is the highest profile library advocacy opportunity in the country. Minnesota attendees will receive an in-depth briefing on library legislation before getting the opportunity to meet in person with members of our own congressional delegation. This special MALF scholarship is for first-time participants who currently reside in Minnesota. Individual-level membership in MALF, or affiliation with a Friends of the Library group that is a member of MALF, is also required. Interested? Simply fill out and return this form, along with an attached cover letter. Cover letter should address your background as a Friend of the Library, your aspirations as a library supporter, and your reasons for wishing to attend NLLD. Apply by Dec. 21, 2015. The Minnesota Association of Library Friends is closing in on its fortieth anniversary – a major milestone, and one that many nonprofits never get the opportunity to celebrate. We owe our longevity and success to the active involvement of Friends generally, and the long-term support of several individuals in particular. Barbara Byers undoubtedly ranks near the top of this list. “Barbi Byers has been active in MALF from its earliest days, serving first as liaison to the group for the Washington County Library system,” notes MALF President Mary Ann Bernat. Barbi worked as a librarian in Washington County for most of her career (from 1971-1995). Fortunately for all of us, her affiliation with MALF has lasted even longer. Barbi’s involvement culminated in 1998, when she became president of the MALF Board of Directors. She would lead in that post until 2010, and then serve another three equally productive years as Secretary. Among other highlights, Barbi spearheaded the push for what would become MALF’s flagship honor, the annual Evy Nordley Award for Best Project by Friends of the Library. MALF has not been the only beneficiary of Barbi’s largesse over the years. She is incredibly active with the Minnesota Library Association and its Library Trustees and Advocates (MLTA) division. 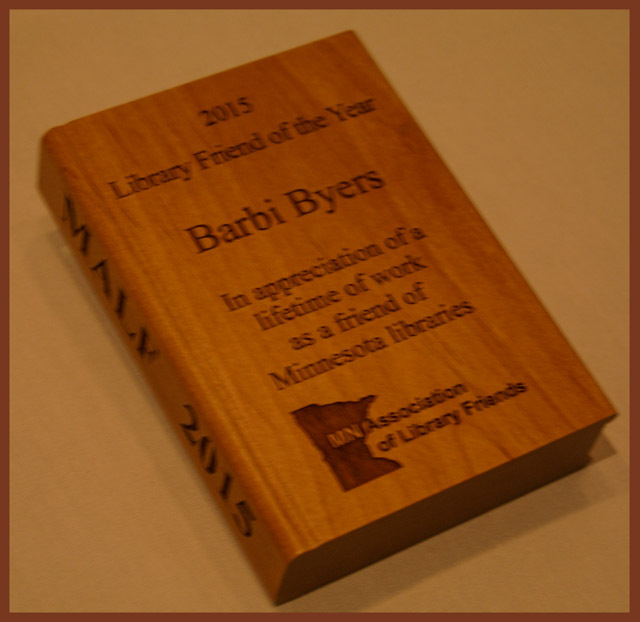 MLA has even named Barbi a recipient of its President’s Award. Barbi has also served time as a citizen representative on the State Library Advisory Council, and collaborated with the state Department of Education on the production of a first-of-its-kind publication about managing small and one-person libraries. Barbi’s generosity does not stop with libraries. From 1998 to 2012, she sat on the board of the Dakota Foundation for Jazz Education. For about a decade, she also coordinated a drive to send surplus hospital supplies to medical clinics in Malawi. 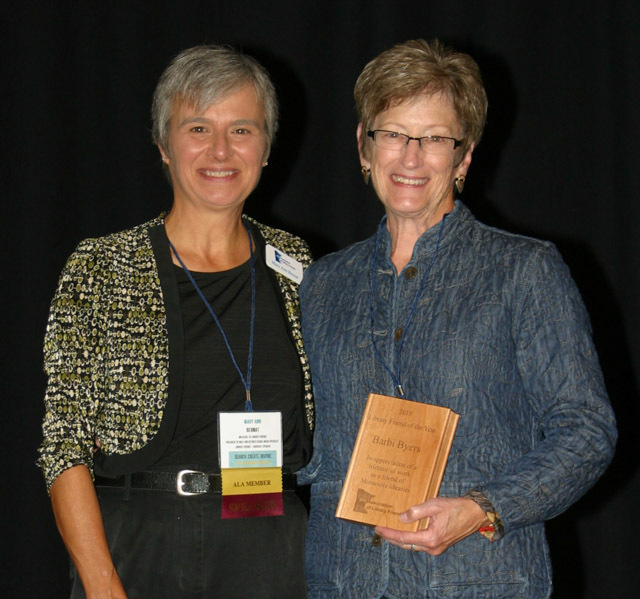 On October 8, in recognition of her many and varied contributions – both to MALF and the Minnesota library community more generally – MALF named Barbi Byers the ‘Library Friend of the Year’ at the 2015 Minnesota Library Association Conference. Christmas came early this year for the Friends of the Austin Public Library, deserving winners of the 2015 Evy Nordley Award of Best Project by Friends of the Library. Austin took home that prize – MALF’s most distinguished – on October 8, during the annual Minnesota Library Association conference. Click here to read more about their award-winning project: a new and replicable holiday book sale model, and one that you yourself might want to consider adopting. Between MALF’s seasonal workshops and the annual MLA conference, fall is a busy time for Friends of the Library in Minnesota. Even so, it’s important to remember what is happening on the national stage. October 18-24 is National Friends of Libraries Week! National Friends of Libraries Week is sponsored and coordinated by United for Libraries, a division of the American Library Association and MALF’s national counterpart. Its intent, simply put, is to foster an environment conducive to promoting Friends groups and our important work. It doubles as an excellent opportunity for your library, Board of Trustees, or local officials to recognize your group for its ongoing support. Naturally, this week-long celebration is an extremely customizable one. Apart from the broad mission sketched out above, appropriate ways to celebrate Friends of Libraries Week are nearly as many and varied as America’s countless Friends groups! United for Libraries has posted on its website a number of ideas, stories, and downloadable resources to help you get started. Click here for posters, sample letters to the editor, template public proclamations, and much much more. If you are a Friend in a rural area and proud of the stellar work that your library does in and for the community, the Public Library Association wants you to apply for the aptly named EBSCO Excellence in Small and/or Rural Public Library Service Award. Any public library serving a population under 10,000 is eligible for consideration. Strong candidate libraries will stand out through a combination of excellent day-to-day work and one or more recent and significant accomplishments or service expansions. “Accomplishments” will be assessed based on their uniqueness and community impact. Yes, criteria are as broad as that! However, you must be a current member of PLA to put your library’s name forward for consideration. 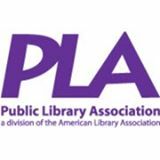 Click here to learn more about PLA and to open a PLA Awards account. Applications for the Excellence in Small and/or Rural Public Library Service Award must be received online by December 2, 2015. 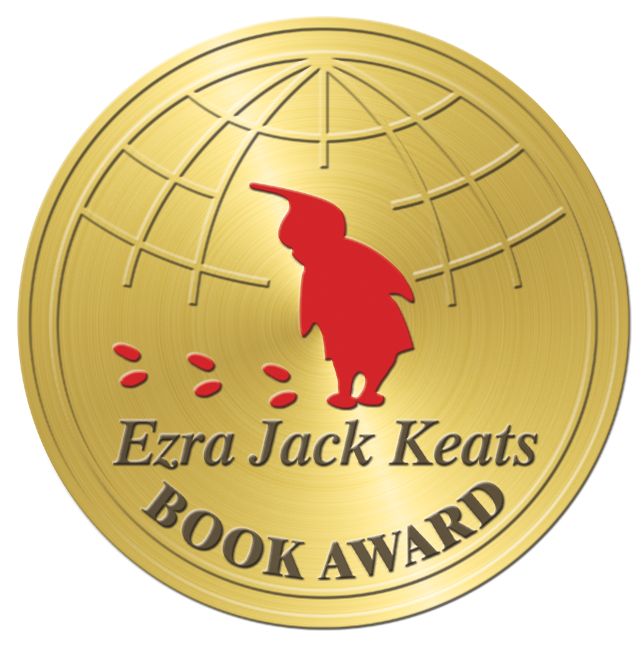 Winner will be both chosen and announced at the 2016 ALA Midwinter Conference. Selected library will receive a plaque and a $1,000 cash award from EBSCO Information Services. Between now and the big Evy Nordley announcement on Oct. 8, we will take a moment to highlight each of the 2015 finalists and their exemplary Friends project or initiative. We welcome you to join us at MLA to learn more. Austin, Minnesota – like hundreds of communities its size across the country – lost its last independent bookstore several years ago. Area booklovers feel that loss acutely, particularly during the holiday season. In 2014, the Friends of the Austin Public Library stepped in to fill this void in a new and innovative way. They reasoned that such a program would allow residents to, once again, buy new books in Austin – while simultaneously drawing people into the library and boosting the public profile of the Friends. “Our board has sponsored two successful used book sales every year for many years, so this really seemed like a natural extension,” Grove said. Barnes & Noble welcomed the opportunity to expand their reach in this market, knowing that not all readers in Austin are willing to make the 40-minute trek out to their Rochester store. A strong promotions blitz augured well for the three-day event. In addition to distributing flyers and posters, the Friends made appearances on local television and radio stations. The Austin Daily Herald gave the book sale front-page billing on two separate occasions, and Barnes & Noble coordinated web publicity. “The event succeeded beyond our wildest dreams,” Grove explained. “Everyone was so excited about the first ever event of this kind… The room was packed throughout the sale. On the first day, people were even lining up 45 minutes before we opened!” Inventory sold so quickly that Barnes & Noble reps trucked additional books in from Rochester on the second and third days. At the end of the event, the Friends let Austin’s collection development librarians select books they wanted for circulation. Barnes & Noble accepted back whatever remained, meaning that the Friends lost no money on unsold items. While fundraising was a secondary objective, the Friends of the Austin Public Library raised over $1,250 through the holiday book sale. They intend to make it an annual tradition – albeit next year, in a much larger room! F. Scott Fitzgerald died 75 years ago, but the literary luminary and St. Paul native would have felt right at home last February at the Friends of the Ramsey Co. Libraries’ signature fundraising event: the Great Gatsby Gala. For the second time in as many years, over 200 flappers and fellas converged on the Roseville Public Library for this memorable night. The Friends set an ambitious goal of $30,000 (up an even $10,000 from 2014). They came in almost exactly on target, thanks to diverse revenue streams built into their gala model. Moderately priced tickets and generous sponsorships from local organizations accounted for much of it, but other fundraiser activities were unique to the gala and its theme. For instance, notes long-time Friend and volunteer Sue Gehrz, sales of 1920s-style hats and headbands alone contributed over $500 in revenue. Volunteers painstakingly crafted the headbands by hand and sold them both before and during the gala. The literary theme also seeped into the fundraiser’s silent and live auction components, in the form of books and period pieces. In total, over 80 items and bundles were donated to the auction, in categories ranging from dining and sightseeing experiences, to original artwork, to sports memorabilia. While the live auction was the highlight for some, dining, dancing and photoshoots anchored the night for others. Still others appreciated the chance to meet their local librarians, and to go on a guided tour of the Roseville Public Library. 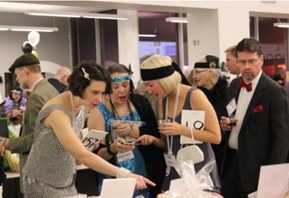 The Friends of the Ramsey County Library were thrilled to see that this combination of activities and attractions – fine-tuned after the inaugural gala in 2014 – drew a mix of people of all ages. The gala also proved a regional happening. “Many attendees traveled not just from outside Ramsey County, but from outside the Twin Cities to be a part of it,” Gehrz said. Each year, ten librarians total are honored with this special distinction. It brings with it a $5,000 cash award, special plaque, and a travel stipend to attend the annual I Love My Librarian awards ceremony and reception in New York City. What sets this candidate apart? Why are they a strong contender for the I Love My Librarian Award? How has this nominee helped you and made your experience of the library a positive one? How has this librarian made a difference in the community? Eligible nominees must hold a master’s degree from an ALA-accredited university and be currently working in a public, academic, or school library setting. Entries will be accepted through Monday, September 28. Between now and the big Evy Nordley announcement on October 8, we will take a moment to highlight each of the 2015 finalists and their exemplary Friends project or initiative. We welcome you to join us at MLA to learn more and to ask questions. When people design or discuss public awareness campaigns, they usually have an adult audience in mind. While the same usually holds true for public libraries, the Friends of the Brainerd Public Library recently designed a unique public awareness campaign aimed instead at their library’s youngest patrons. After some discussion, the Friends landed on the perfect vehicle to share the library’s value proposition with Brainerd area kids. They decided to coordinate a special children’s book sale bash, drawing on their experience hosting used book sales for general audiences. They entered the planning stage with two goals in mind: to get a wide assortment of age-appropriate materials in front of children, and to price everything at 25 cents. “All books were sold at a quarter a piece so that all children could leave happy, with books in hand,” explained Friends president Gail Brecht. Securing children’s materials in the necessary quantities required broad-based community support. The Friends board of directors sent letters to local teachers requesting book donations, and they in turn sent the call out to parents throughout Crow Wing County. In order to create a festive atmosphere and stoke strong attendance, the Friends invested in snacks and face paints. A local costume shop also loaned the Friends princess and Teenage Mutant Ninja Turtle costumes at a steep discount. Friends report that the sale remained incredibly busy throughout its run, with children and parents alike expressed great appreciation for a children’s sale separate from Brainerd’s customary spring and fall sales. As one impressive indicator of traffic, during the sale, over 500 kids signed up for the library’s summer reading program. Registration is now open for the 2015 Minnesota Library Association conference – including one-day tickets for the annual Thursday ‘mini-conference’ devoted to Friends of the Library. Join MALF in Saint Paul on Thursday, October 8 for a full day of programming targeted specifically at Friends. You will learn about successful Friends of the Library grants, fundraising tactics, community partnerships, member campaigns, and much more. We will also take the opportunity to hold our annual conference and to announce the winner of MALF’s flagship prize, the Evy Nordley Award for Best Project by Friends of the Library. Watch for our next eBlast, which will include the full day’s programming itinerary. Registration is $60 for Friends if you reserve your spot at the early bird rate, before Sunday, September 6. Cost rises to $75 for Friends after September 6. The Sun is over 2,700,000 miles in circumference, but it takes a mere 200 square feet of free space to host a touring solar system exhibit in your library. The American Library Association, in partnership with the Space Science Institute and National Science Foundation, is bringing three traveling science exhibits to public libraries in 2016-2018 through their joint STAR Net Explore program. “Explore Space” will offer a fun and instructive look at both the Milky Way and the universe beyond. The second option, “Explore Earth,” will focus on our planet’s many and varied ecosystems. The third, called simply “Explore Science,” offers a crash course on engineering, with a specific emphasis on how engineers have shaped the modern world. Each chosen library co-partner will host their exhibit over an eight-week loan period. Shipping costs will be covered by aSTAR Net Explore grant. Hosts will receive a publicity kit and other ready-made media resources to help drum up local interest in the exhibit. Public libraries and affiliated Friends groups everywhere are invited to put in a bid for one of these traveling STEM exhibits. Institutions in rural areas and/or serving traditionally underserved groups are especially encouraged to apply. School and special libraries are ineligible for consideration, as are their Friends. In total, 13-14 libraries will be selected to host each exhibit, with terms ongoing through 2018. Please note that applying libraries may only put their name forward for one of the three traveling exhibits. Applying requires the creation of a free ALA account (a wise time investment in any case, as it opens you and your library up to future program and grant opportunities from ALA’s Public Programs Office.) Click here for more information. The entry deadline is September 18. In many communities, the public library plays an active, vital role promoting childhood literacy – particularly when school is out for the summer, and for preschool aged children. If your Friends group is attached to such a library, you may be eligible to seek special grant assistance from the W.K. Kellogg Foundation. The Kellogg Foundation exists to support childhood education and community engagement, among several other core objectives. In 2014 alone, the organization committed $350 million to qualified grant seekers. A wide variety of education programs and community initiatives are eligible for Foundation support. Note, however, that funds are not generally awarded to assist with endowments, development campaigns, research studies, or conferences. Grants will also not be given to support the operational costs of ongoing programs. Applying is a multistep process, but taking the initial step to verify eligibility and determine Foundation interest is not hard. Click here to fill out the form. Be prepared to provide, in brief, the specific purpose for which you are seeing funding, what community needs you aim to solve, the demographic(s) you will most benefit, and how you will benchmark both progress and success. Interested in the opportunity, but short on time this summer? Not to worry. There is no deadline. Applications for this one are accepted on an ongoing basis. Once you have submitted your materials, expect to hear back from the Kellogg Foundation within two months. Due to space constraints at our metro area location, the Edina Community Library, the September 11 session will be capped at 35 attendees. Register to reserve your spot! In cities and towns across the country, the public library stands as the enduring, seemingly unchanging heart of the community. But a closer looks shows that, in point of fact, libraries are constantly adapting to meet the evolving needs of their patron base. In order to stay relevant in this environment, Friends of the Library organizations must be prepared to realign their priorities and programs to match the library’s – in other words, to expand beyond their traditional comfort zone. MALF’s fall 2015 workshop series, “Beyond Book Sales: The Future of Friends Fundraising,” shines a light on the all-important fundraising aspect of Friends work. What can we do, in this current landscape, to raise real funds for our library? How do we take those first steps in a new direction? And, circling back to our roots, what does the future hold in store for the tried-and-true used book sale? In September, library consultant and former Friends executive Stu Wilson will lead three half-day sessions covering these questions and more. Each will include an hour-long keynote, during which Wilson will brief attendees on: fundraising fundamentals; book sale trends; libraries’ increasing need for private support; changing community needs and volunteer demographics; and, effective social media tools. There will be ample opportunities for audience Q&A. Every session will also include an hour-long idea exchange session – a MALF workshop staple, and one of attendees’ best opportunities all year round to network and share with Friends from across Minnesota. In addition, our local co-hosts in Aitkin, Edina and Marshall will provide guided library tours at each site. Everyone is invited to sign up for a free workshop. It is not necessary to be a member of MALF or any Library Friends organization to attend. All participants will receive free lunch or dinner (see session site run time). About Stu. Workshop moderator and keynote presenter Stu Wilson is a lead consultant and project coordinator with the St. Paul-based Library Strategies Consulting Group. His specialty areas include strategic planning, board development, advocacy, and of course, fundraising. Wilson’s career experience includes productive terms as both Executive Director of the Friends of the Hennepin County Library and Vice-President of the Friends of the Saint Paul Public Library. He is also the founder of Fitzgerald in Saint Paul, a nonprofit celebrating the legacy of author F. Scott Fitzgerald. Friday, September 11, 12 p.m. – 4 p.m.
Saturday, September 12, 10 a.m. – 2 p.m.
Millennials are a hard group for many Friends groups to attract – but invaluable once brought into the fold. Indeed, young people are among the most visible ‘movers and shakers’ in the library world more generally. Contact information for two additional references will also be requested. Nominations must be received by Library Journal by November 6, 2015 at the very latest. Click here for details. The past year has been an eventful one for the small town of Ely, Minnesota. Last year, broad-based community support and financial help from the local Friends chapter allowed the Ely Public Library to build a brand new, 6,500-square-foot facility. The library officially relocated in November. On June 5, the Minnesota Association of Library Friends, in partnership with the Friends of the Ely Public Library and The Listening Point Foundation, honored conservationist Sigurd Olson and Vermilion Community College with this special distinction. Literary Landmarks are sites with a strong historical connection to prominent American authors, recognized through a joint partnership between United for Libraries’ Literary Landmarks Association and local affiliates (such as MALF). Examples range widely: from the boyhood home of Roots author Alex Haley in Henning, Tennessee; to a New York City church library where Madeleine L'Engle wrote parts of A Wrinkle in Time; to the hotel in Durango, Colorado where Westerns favorite Louis L'Amour drafted much of his best work. To date, there are over 160 Literary Landmark sites across the country, and Minnesota is home to six. Recipient sites are recognized with a dedication plaque and unveiling ceremony. As anyone in the Minnesota Northwoods can tell you, Sigurd Olson is a strong candidate. He is best remembered today for championing wilderness conservation through nine bestselling books, beginning with The Singing Wilderness in 1956 and his seminal Listening Point in 1958. His efforts played a direct role in the establishment of national preserves ranging from the Arctic Wildlife Refuge in Alaska to Point Reyes National Seashore in California. Closer to home, Olson’s advocacy also proved instrumental to the legislation that created Voyageurs National Park and the Boundary Waters Canoe Area Wilderness in northern Minnesota. Olson titled Listening Point after his personal retreat, located on scenic Burntside Lake just outside of Ely. Given that site’s remote location, the Literary Landmark co-partners opted instead to install the plaque and hold the ceremony at Olson’s academic home, Vermilion Community College. Nearly 100 attendees – a packed house – turned out to bear witness to the unveiling. Speakers included Chuck Wick, a close personal friend of Olson's and a founding member of the Listening Point Foundation that preserves his legacy, who delivered a short keynote. Out-of-town attendees who made the trek to this far northeast corner of the state enjoyed several tie-in activities over the weekend, as well. In conjunction with the plaque dedication event, the Ely-Winton Historical Society hosted a small exhibit on the life and work of Sigurd Olson. The Listening Point Foundation offered several guided tours of Olson’s beautifully preserved cabin on Burntside Lake. In addition, the Friends of the Ely Public Library also offered a tour of the new, $1.3 million library building, which is not far from the Vermilion Community College campus. MALF dedicates one new Literary Landmark in Minnesota each year. We are already hard at work on choosing an honoree and site host for next year’s festivities. Stay tuned for that next announcement! On May 4-5, 2015, more than 400 library advocates from all walks of life gathered in Washington D.C. to speak with federal legislators about the continued importance of libraries. Whether they knew it or not, each “National Library Legislative Day” participant’s voice carried immense weight that week. On any given day, 4,000,000 Americans make use of a local library. In effect, then, each and every NLLD attendee stood in for nearly 10,000 library lovers. Carol Walsh, a communications professional and a former member of the MALF Board of Directors, attended this year’s slate of events. She is pleased to share her recollections of and thoughts on the experience, for anyone interested but on the fence about making the trek in May 2016. Is it possible to advocate for our state’s libraries, but on the national stage? It is, and you should! The American Library Association (ALA) maintains a Washington office, which is responsible for advocating federal legislation that preserves and promotes library values and funding. Each year, the office must continually lobby Congress and its partners while simultaneously stoking grassroots support for libraries. Needless to say, this is a tough task. Your voice, whether in person or “virtually,” is a huge help. ALA’s so-called National Library Legislation Day (NLLD), held every May, is your best opportunity all year to get involved. This year – my fifth attending NLLD – I joined three other representatives from Minnesota in Washington D.C.: Jim Weikum, executive director of the Arrowhead Library System; Pat Conley, retiring director of the Washington Co. Library; and Melinda Ludwiczak, project manager for MELSA. Here’s a summary of what went on, for anyone interested in attending in the future. NLLD takes place over two days. On Day 1, advocates from across the country gather to hear subject matter experts brief them on the important issues of the day – in this case, appropriations, privacy matters, and school libraries. This is in preparation for Day 2, when the Minnesota attendees visited with members of our state’s congressional delegation. In most cases, we actually met with knowledgeable staff, rather than the representatives and senators themselves. For instance, we met with Landon Zinda, legislative counsel for U.S. Representative Tom Emmer, because Rep. Emmer himself could not attend. Everyone, I felt, was very receptive to our messages. Because I’m a resident of St. Paul and a member of the Friends of the St. Paul Public Library, I shared information particular to the St. Paul Public Library. My message was simple: public libraries are essential players in the community’s job search and workforce development network. Here, and elsewhere, public libraries are integral to ensuring that all adults have jobs and basic workforce skills. As just one example, St. Paul libraries offer 3,000 classes each year in basic computer skills (in six languages!) – and help countless people every day with job searches. Understandably, delegates are especially interested in fresh or innovative programs and initiatives. I talked at length about recent, close collaborations between the libraries and allied organizations, including the Minnesota WorkForce Center and St. Paul Adult Basic Education. A new initiative currently underway will explore the potential of e-training – and in particular, of a learning platform called Metrix Learning. Metrix Learning seamlessly integrates information on the local job market, job pathways, online learning, and industry-recognized certifications. Other attendees pursued different angles and shared different stories, but everything confirmed the same basic point: libraries are indispensable community resources. Fellow Minnesotans and Friends of the Library, I strongly encourage you to consider being a part of next year’s NLLD cycle, already scheduled for May 2-3, 2016. BACKGROUNDER: "Minnesota At A Glance: Digital Inclusion & Public Libraries"
The Pipestone Area Friends of the Library organized nearly a decade ago, but only just last year secured full 501(c)3 nonprofit status. Why the long delay? In short, “tales from other applicants of complicated forms, years of legal wrangling, and major expenses deterred any serious attempts,” explained Deb Brockberg, secretary and treasurer of the group. That cost, and several others, were defrayed by the Minnesota Association of Library Friends (MALF)’s special Goss-Nordley Grant. This fund exists for the express purpose of providing developing Friends groups with much-needed funds to defray costs associated with the incorporation process. Held each October, Teen Read Week is a national celebration that often goes unobserved – a fact attributable, at least in large part to, to a lack of funds to coordinate teen-oriented programming. This year, the Young Adult Library Services Association (YALSA) is partnering up with the Dollar General Literacy Foundation to change that. Over the summer, a YALSA judging committee will award ten $1,000 Teen Read Week “activity grants” to deserving public libraries (and, where appropriate, partnering Friends groups) interested in coordinating special programs during Teen Read Week 2015 (October 18-24). Innovative concepts are encouraged. Program proposals that are inclusive of underserved teen populations – including but not limited to ESL learners and teens with disabilities – are of particular interest. Both library systems and individual branch libraries are eligible to be considered. Proposed programming must be held on the library premises. Each applying organization must also have a current YALSA member in their ranks. Click here for more details. Applications are due Monday, June 1. Grant recipients will be notified by Monday, July 13. On Friday, June 5, the Minnesota Association of Library Friends (MALF) and community partners in Ely, Minn., will dedicate the state’s sixth and newest Literary Landmark™ in honor of renowned conservationist and author Sigurd F. Olson. Vermillion Community College in Ely, Olson’s academic home, will house the Literary Landmark plaque, and will play host to a keynote dedication event during a weekend filled with tributes to the literary luminary and treats for area visitors. The ceremony will commence at 4 p.m. in Vermillion Community College's Fine Arts Center. Chuck Wick, a close personal friend of Olson's and a founding member of the Listening Point Foundation that preserves his legacy, will share favorite memories of the author before the plaque unveiling. Attendees will also hear from Doug Wood, president of the Listening Point Foundation; Shawn Bina, VCC provost; Gail Sheddy, president of the Friends of the Ely Library, and MALF’s own president Mary Ann Bernat. Attendees can plan on making a weekend of it. The Ely-Winton Historical Society invites all to a free exhibit on the life and career of Sigurd Olson, conveniently located on the VCC campus and open from 10 a.m. to 6 p.m. The local Friends will also host a tour of the new Ely Public Library facility before the dedication ceremony, at 2 p.m.
On Saturday, June 6, Literary Landmark guests are invited to attend Author! Author!, a local literary showcase put on by Ely Greenstone Public Art. Additionally, Listening Point Foundation will host two guided tours of "Listening Point," Olson's lakeside retreat on Burntside Lake (10:30 a.m. and 2:00 p.m.). Call 218-365-8889 to make reservations. Host Popular Mystery Author Brian Freeman at YOUR Library! If your Friends group is actively coordinating author programming events for your library, local mystery favorite Brian Freeman wants to hear from you! Freeman is author of the bestselling Jonathan Stride detective series, set in and around Duluth. Later this year, to mark the tenth anniversary of Stride’s debut, Freeman will travel widely across the state and deliver special presentations to library audiences on his series and its many Minnesota influences. While details are still in the works, approximately twenty events total are likely to be scheduled for September and October 2015. Contact Brian Freeman directly through his website to learn more about the upcoming regional tour and other partnership possibilities in your area. Library advocacy is a perennial concern for Friends of the Library. How do we move beyond our traditional “comfort zone” of fundraising to marshal real community support for libraries and their continued funding? Courtney Young, president of the American Library Association (ALA), will deliver a keynote presentation on that topic at this year’s St. Catherine University MLIS Program Summit. Join co-sponsors ALA, St. Catherine’s University, and MELSA for this special event on Monday, April 27. The MLIS Summit will be held from 5-8 p.m. on campus in St. Paul, in the the Coeur de Catherine building’s Rauenhorst Ballroom. The event is free, but advance registration is appreciated. Can't make it to that afternoon’s keynote lecture? No problem! Join MELSA the following morning -- 10 a.m. on Tuesday, April 28 -- for an encore with Courtney Young at the Roseville Public Library, 2180 Hamline Ave. N. If this better suits your schedule, please register online by April 22. In just two years, the Friends of the Wentworth Library in West St. Paul has matured from a small and unofficial body to a robust, 501(c)3 incorporated nonprofit on par with any Friends group in Minnesota servicing a community of that size. President Karen Griffin attributes this rapid success to planning, a strong partnership with library staff, serendipitous timing, and monetary assistance provided through MALF’s Goss-Nordley Grant. It did indeed prove a process. “There is a lot of behind-the-scenes work involved… some of which may not be fun, but needs to be done anyway.” Specifically, filing to become a 501(c)3 incorporated nonprofit required pre-approved articles of incorporation and bylaws – documents which the Wentworth volunteers had not yet created. Griffin and Wilson, together with a second Friend and the Dakota Co. Library senior manager, drafted both and had them approved by the membership body. Financing proved a second hurdle. “State of Minnesota filing fees for nonprofit status, together with those for federal tax exempt status, amounted to almost $500. That was money we did not have,” Griffin said. Fortunately, the Friends of the Wentworth Library knew of the Minnesota Association of Library Friends (MALF) “Goss-Nordley Grant,” which provides nascent Friends groups with much-needed funds to defray costs associated with incorporation. After receiving financial assistance from MALF last year, the Friends of the Wentworth Library submitted their paperwork. They received confirmation from the State just last December. According to Griffin, MALF’s financial assistance was a godsend, as the Friends knew that little further growth could come without this big step. “Becoming a 501(c)3 has many advantages: we now have a Friends bank account (which we could not open until we had our non-profit designation), we can accept donations that are tax deductible, and we are able to better make decisions regarding disbursement of funds.” The new status is also beneficial when it comes to fundraising efforts, she added. While incorporation was in the works, the Wentworth Friends were extremely active on other fronts as well. Membership solicitations have been largely successful. “Weʼve added to our Friends list mostly by just asking. 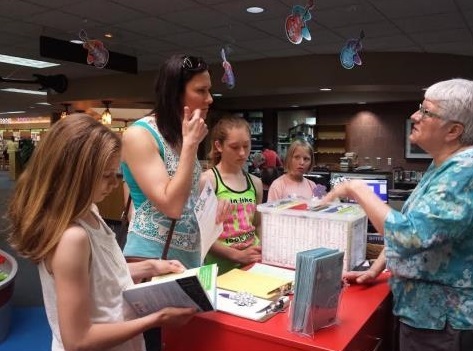 People generally like libraries, and I think a lot of time people are just waiting to be asked and are willing to join in and help when they can.” Library staff have been helpful with recruiting efforts, and the local St. Paul Voice helped get the word out with a promotional piece. Moreover, they recently worked with a local activity center to co-sponsor an author workshop, purchased interactive materials for the children’s area of their library, and assisted on a variety of other library projects as needed. ‘Follow’ the group on Facebook to learn about what they’re up to next! Budget cuts are a perennial concern for libraries of all types, but particularly for school media centers. Compounding matters, Friends groups affiliated with these school libraries are often ineligible to apply for grant opportunities aimed at public libraries. Fortunately, Scholastic Inc., in partnership with bestselling mystery author James Patterson, recently rolled out a new assistance program. Librarians, teachers, Friends and parents are encouraged to apply for grants ranging from $1,000 - $10,000 to offset K-12 media center expenses. New materials, updated computer equipment, and space redesign expenses are all eligible for consideration. That’s not all. Scholastic Inc., through its Scholastic Reading Club, will match monetary awards dollar for dollar with ‘Bonus Points,’ good towards the purchase of a wide assortment of classroom and media center supplies. Applying is easy! Nominators should be prepared to explain, in just 300 words or less, how awarded funds would be spent. Pre-approval from school administration is strongly advised, as monies will only be distributed only a vetting process in which the principal gives permission for consideration. Submit your application by May 31 at the very latest. Charity bookseller Better World Books operates on what it calls a "social enterprise" business model. Customers who place an order through that company can rest well knowing that their purchase will have an indirect but demonstrable impact on worthy literacy initiatives. Better World Books’ monetary donations to qualifying organizations have totaled $15 million to date. Unsurprisingly, libraries and their Friends are primary beneficiaries of much of this largess. Best qualified applicants will have broad-based community support, a firm plan and timeline in place, and a track record of seeing multistage projects through to completion. Candidates who can prove that their proposed project is in some way “game changing” will get first consideration. Click here for more information. Proposals are due no later than April 3. Winners will be notified of the outcome by May 12, and funds will be dispersed this summer. Click here to start your application! Register Today for National Library Legislative Day 2015! National Library Legislative Day (NLLD) 2015 is quickly approaching, and ALA and its partners are now accepting registrations for the May 4-5 slate of events in Washington, D.C. Veteran advocates and new participants alike are encouraged to participate. Attendees will be treated to a day-long training session before the main event: meeting with the congressmen and women who represent you and are charting the future course for public libraries in America. It is a golden opportunity that comes but once a year! Interested in attending NLLD, and looking for ways to defray the trip costs? Consider applying for a special stipend offered to non-librarian participants through the White House Conference on Library and Information Services Taskforce (WHCLIST). Click here for full details. You booked your appointments, prepared your talking points, attended the MLA orientation session, and, finally, had the opportunity to speak to your legislators on behalf of libraries as part of MLA/MEMO Library Legislative Day. Now you’re done, right? Wrong. If you haven’t already, remember to follow up with a thank you note to the officials who took time out of their busy schedules to speak with you. Contact information for your congressperson in both the House and Senate is available through this government representative contact info search database hosted by the state Legislative Coordination Commission. Registration Now Open for MN Library Legislative Day 2015! Registration is now open for Minnesota Library Legislative Day, the linchpin event of our state’s library advocacy calendar. Library Friends from all across Minnesota are strongly encouraged to converge at the Capitol in St. Paul on March 2-3 to voice their support for libraries and their many public service offerings. Although Tuesday is the highlight, activities begin on Monday evening. Library lobbyists Elaine Keefe and Sam Walseth will take that opportunity to get interested attendees up to speed with a special legislative briefing (details forthcoming). For those unable to attend, this session will be repeated early Tuesday morning. This is a perfect opportunity to get up to speed on legislative developments affecting public libraries in 2014-16. Legislators will meet with constituents and hear their concerns about library funding throughout the day on March 3. A debriefing panel at 1:00 p.m. will round out the day’s official activities. If you are unsure who represents you, click here. Navigate to "Who Represents Me?," or use the district finder. As time permits, please also check out this MLA fact sheet detailing 2015 priorities and action items. Click here to register. MALF will be out in force this year, and we hope to see you there! Stay tuned for news of Friends networking opportunities centered around Minnesota Library Legislative Day. The Friends of the Robert Trail Library in Rosemount cordially invite all Friends of the Library to join them on Saturday, March 7 for an informal ideas sharing session and meet-and-greet. Topics of discussion will include, but are not limited to: best practices for book sales, membership solicitation strategies, coordinating community-wide events, and innovative fundraising techniques. The event will run 11 a.m. – 2 p.m. and be held in the main meeting room of the Robert Trail Library, 14395 South Robert Trail. Bring your own lunch. The Friends of the Robert Trail Library will supply beverages and dessert. Spread the word! In addition to Friends, library directors, staff and Board members are also invited to attend and participate. To RSVP, or to suggest additional topics for discussion, please contact Jo Gilbertson, president of the Friends of the Robert Trail Library (651-344-2074 / gilby2048@frontier.com). ASCLA invites Friends of the Library in Minnesota to nominate outstanding peers for one of two national life-time achievement awards. Of special interest is the ASCLA Exceptional Service Award, which is regularly given to Friends and other committed volunteers. In particular, this citation is intended to recognize exceptional service to the homebound, hospital patients, group home residents, and/or inmate populations. Other strong candidates will be considered. Click here to learn more. Alternatively, consider ASCLA’s Leadership and Professional Achievement Award. As the name suggests, this capstone prize honors exemplary leadership and achievement in library work. Involvement with state library development and statewide services or programs are important considerations. Click here to learn more. Nominees must be current members in the Association of Specialized and Cooperative Library Services (ASCLA). Nominations for both award are being accepted for a limited time only, so don’t delay! There are a number of nonprofits and foundations out there providing Friends and likeminded organizations with funds to coordinate literacy and reading programs. Comparatively few, however, offer such grants on as broad a basis as The Wish You Well Foundation®. Be prepared to submit a single-page proposal including a write up on your organization’s history and mission, what you are proposing, and how much it will cost. Where applicable, the submission of supplemental materials is also strongly encouraged. Click here to learn more and to download the application cover sheet template. After you get started, address any and all questions to info@wishyouwellfoundation.org. To date, while The Wish You Well Foundation has helped over 50 groups across the country, no Minnesota organization has been awarded this exciting literary grant. Will you be the first? Nominations are now being accepted for MALF’s flagship prize, the annual Evy Nordley Award for ‘Best Project by Friends of the Library.’ Each year, we recognize original ideas and innovative projects created by Friends with this first-of-its-kind honor. Any Friends-supported project is eligible for consideration, provided project implementation began after January 1 of the preceding year (in this case, 2014). Examples include print publications, programming events, membership drives, fundraising campaigns, and website or digital initiatives. Entry submission is free, but participation requires a current MALF membership. (Contestants unaffiliated with MALF are welcome to submit membership application and annual dues along with their Evy Nordley entry materials.) All entries for the 2015 cycle must be postmarked by June 15. Each cycle, three finalists will be notified over the summer and invited to give a ten-minute presentation describing the design, development and impact of their Friends effort at the annual fall Minnesota Library Association (MLA) Conference. The winner will be announced at this time, and be awarded $1,000. Runners-up will receive $250 and a framable Certificates of Recognition. As the playwright Sophocles sagely noted, “Kindnesses tend to birth further kindnesses.” In this spirit, United for Libraries is offering both members and non-members special ‘Major Benefactor Citations.’ This commendation is meant to acknowledge and honor outstanding library supporters, and to encourage others to follow their generous example. The Major Benefactor Citation consists of a custom plaque for the benefactor, and another for the requesting Friends group. United for Libraries also provides recipients with a variety of informational sheets and promotions templates to build an event around the Citation and promote library giving. In addition to local publicity, all Major Benefactor Citation recipients are featured on the United for Libraries website and in a press release issued by the American Library Association. A fee of $300 for United for Libraries members or $400 for non-members covers materials and all shipping and administrative costs. Click here to learn more and apply. Address specific questions to united@ala.org. Friends groups are valuable not only for their ability to fundraise, but for their ability to marshal talented people from all walks of life on behalf of local libraries. In this same vein, MALF strives to ensure that its Board of Directors represents different regions of the state and as many professional skills sets as possible. In February, we are thrilled to welcome two new Board members to the ranks: Todd Kruse of St. Paul, and Sheila DeChantal of Brainerd. Todd Kruse is a highly accomplished strategist and consultant. His fortes include market research, strategic planning, and economic development outreach. Several decades of this high-stakes work has given him experience with a wide variety of industries and public interests – ranging all the way from energy commodities and telecommunications to education workforce development and government IT services. Kruse is also a respected public policy advocate. He has helped numerous Fortune 500 companies formulate their public policies, and served time as a field representative for an Iowa congressman early in his career. Kruse is thrilled to have this chance to mobilize his advocacy skills on behalf of public libraries. Sheila DeChantal is already a familiar name to many Friends of the Library, particularly those in north central Minnesota. She is currently president of the Friends of the Brainerd Public Library (as well as an active member of the City of Brainerd Library Board). In her time with the Friends, the group has seen record-breaking book sale figures. DeChantal also helped launch Brainerd’s highly successful “Wine and Words” dinner fundraiser. This program’s inaugural year featured not one, not two, but five popular authors. After a veritable blitz of promotions, the event surpassed all expectations. DeChantal’s team sold 180 tickets and cleared over $8,500 for the library’s use. Without a doubt, both Kruse and DeChantal are valuable assets for MALF and the broader community of Minnesota Friends. Welcome! If you would like to put your name forward for consideration in 2016, or would just like more information on our Board roles and committees, send an mail to our Nominating Committee at info@mnlibraryfriends.org.